As well as Wi-Fi extenders, powerline AV and ever more powerful routers, there's a new weapon in your anti-deadspot arsenal: high-end Wi-Fi bridges. Netgear has Orbi, BT has Whole Home Wi-Fi. Now Devolo has GigaGate, which uses a slightly different approach to solve the same problem: that your router is in a basement or cupboard, far away from your mega-techy multi-media setup. The key thing in GigaGate's favour? It's available now for 220 quid, while BT and Netgear's rival systems are £300+. You plug the GigaGate Base station into your router, plug the GigaGate Satellite in your lounge, games room, 'man cave' or whatever. The Base connects to the Satellite via Wi-fi. But not just any old Wi-Fi, uh-uh. This is point-to-point, beam formed, 4x4, 5Ghz AC, ooh yeah. You then use trusty, boring old ethernet to connect your TV, console, streamer and so on to the Satellite. That is quite enough for video and audio applications and the gaming habits of people who don't own liquid-cooled PCs in a case shaped like a Terminator skull, with external graphics cards. 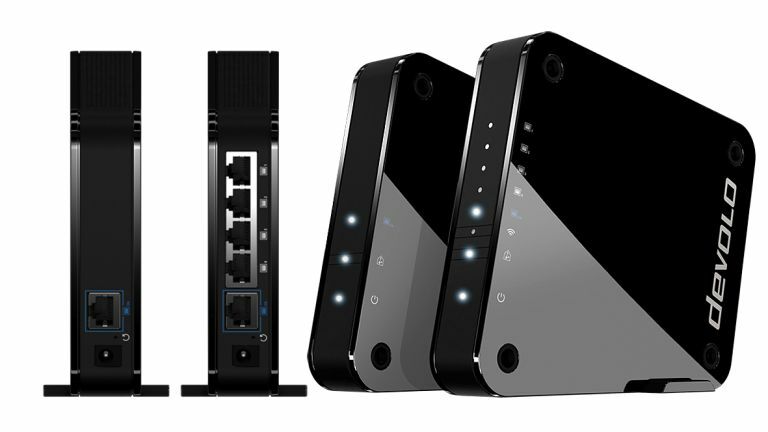 You can also use the GigaGate as an N Wi-Fi extender, but its primary purpose is to ferry data to AV and gaming kit via wired connections. So far, we've got as far as plugging in our review boxes and in just two attempts, they did indeed 'plug and play'. Now we shall wait a few hours while the beam forming Wi-Fi magically acquires the fastest possible connection. A review will emerge at some later date.